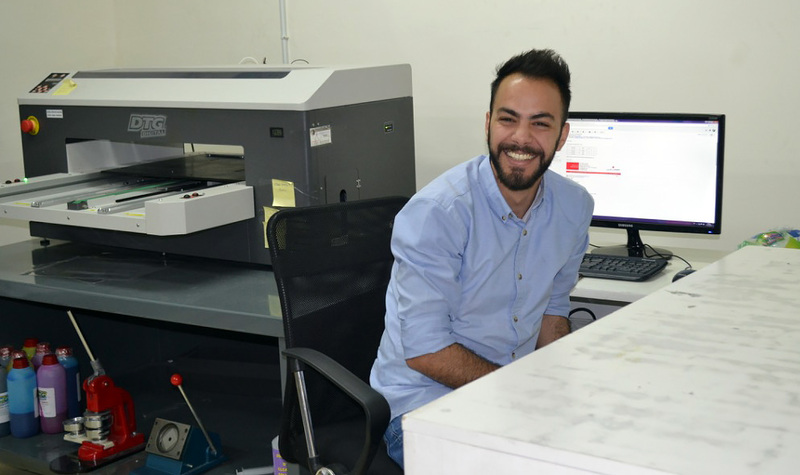 Akhtaboot – the career network, sat down with Jobedu’s founder, Tamer Al Masri and Merchmallow’s manager Jihan Kliebo to learn more about their startup business and how they managed to tackle some of the obstacles that they faced. 1) Tell us about Merchmallow and what inspired you to start this line of business? Tamer: Merchmallow came to existence after Jobedu built a solid reputation for its high quality products. As a result, many people started to ask us to create customized merchandize for them. So we decided to build on the Jobedu brand by creating a sub brand called Merchmallow. Merchmallow specializes in producing high quality t-shirts for your brands, bands, events, as well as giveaways and much more. Merchmallow is all about expressing your brand visually. 2) Where does the name “Merchmallow” come from? Tamer: The name came on the spur of the moment. Merchmallow plays on the word “merchandize”. 3) What were some of the difficulties that you faced when you first started? 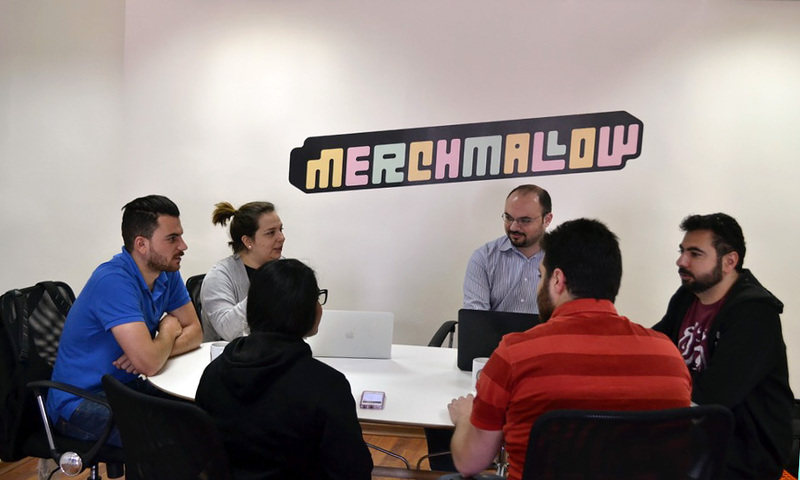 Tamer: Well, it was a rough start considering that Merchmallow was meant to be a separate brand from Jobedu. We didn’t really have a clear vision of what might happen if we split both brands. Now that we took the plunge, we have to deal with a lot of structural challenges as one might expect, but luckily, things are slowly coming together. 4) How is your startup different from others in the industry? Tamer: Merchmallow is different because it was financed by a startup that actually needed financing! 5) How do you think a startup can bounce back once it starts to fail? Tamer: I believe in adding ‘new blood’ to the team. For instance, Jobedu was one heavy ship to stir. 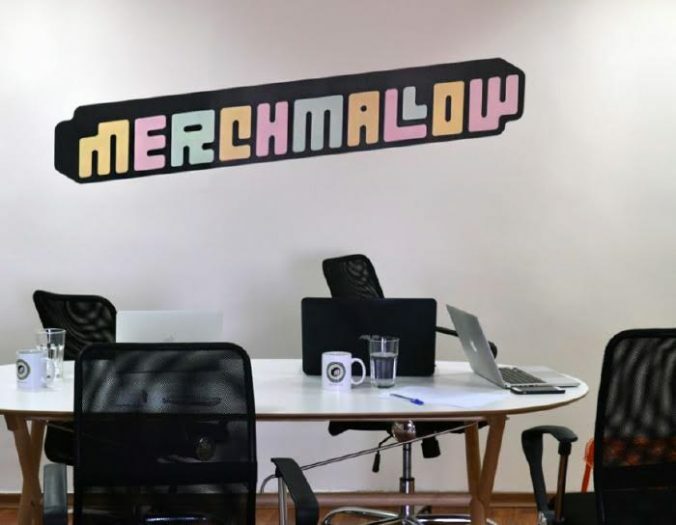 When Merchmallow was separated as a brand, Jihan insisted on having her own office and team so they can build a proper foundation, and give it the room to grow. So now, the mother company, Jobedu, has its own space to focus on its own line of work. So in my opinion, it all goes down to where you put your focus. When a startup starts to fail, focusing on it will bring it back on track. 6) How would you describe your working environment? Jihan: Our entire team consists of 7 employees and we have a really laid-back environment. We actually have our own cat roaming around in the office. Tamer: Our team actually grew from 3 people in Feb 2017 to 7 people today! Jihan: T-shirt apparel is what we’re mainly known for. Retail merchandising is generally a very price sensitive industry, and we aim to become even more competitive by adding more to our list of products, which we produce ourselves. 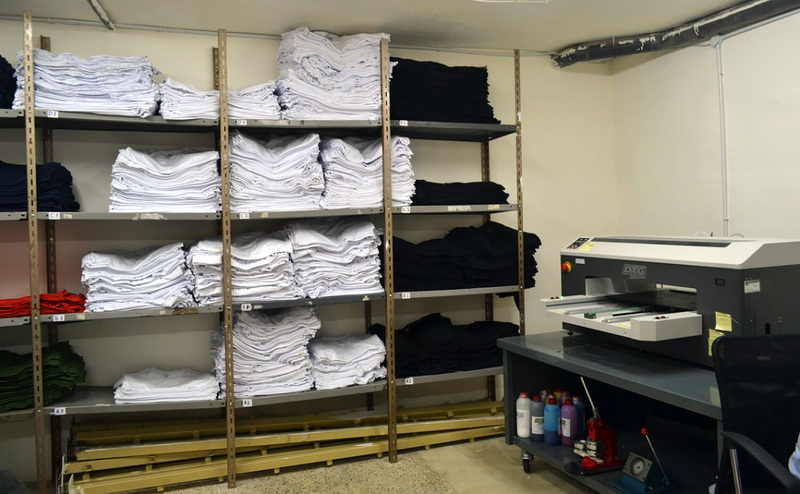 We print on demand, so we’re looking to build on our offerings to include mugs, embroidery and other different things. 8) How can startups measure their success? Jihan: You can measure your success based on a number of different aspects, whether it’s financial, or from a brand-equity perspective. Adding to what Tamer said, Jobedu has been a great piggyback for us; the quality and brand name speaks for itself, and that contributed immensely to our success. 9) Who’s Merchmallow’s target audience? Jihan: Tamer came up with a great tag line which is “If you can imagine it, then we can make it for you”. Most merchandize companies are volume centric; so they only do bulk orders. But we believe that no order is too small. We target anyone, whether they want only one t-shirt or a thousand pieces. 10) Where do you see your company in five years from now? Tamer: We want to be the go-to merchandisers where people don’t feel like there’s an obstacle in asking for any product that they can think of. So if anyone wants to custom-order something for an event or a bridal shower, the production part will be the least of his or her concerns. 11) Do you have any tips for young entrepreneurs? Tamer: There’s a lot of noise in the market and a lot of investors and startups. Young entrepreneurs shouldn’t feel like they are coming into an experienced playing field; everyone is just learning. 12) What do you think of Akhtaboot? 13) What type of employees did you look for that helped Merchmallow grow the way it did? We look for young and go getting employees that take pride in what they do. This helped Merchmallow grow by instilling a sense of pride in what they do. 14) What’s next on a personal and talent level? On a personal and talent level, we hope to offer a wider platform for our customers and employees where they can freely express themselves.